MP2 is the acronym for MPEG-1 Audio Layer II, sometimes known as Musicam. It is a dominant standard for audio broadcasting. MP2 is the acronym for MPEG-1 Audio Layer II, sometimes known as Musicam. It is a lossy audio compression format by ISO/IEC 11172-3. Also it can refer to MPEG-2 Audio Layer II, a mostly backwards compatible extension defined in ISO/IEC 13818-3. The abbreviation MP2 is also sometimes erroneously applied to MPEG-2 video or MPEG-2 AAC audio. MP2 was produced and then used on Video CD in the late 1980s. It is considered as a part of Moving Picture Experts Group (MPEG) of ISO, and was designed to be a standard of digital audio and video encoding for digital radio and TV broadcasting (DAB, DMB, and DVB). 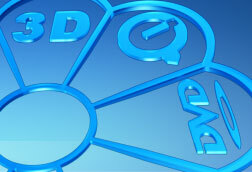 All the MPEG audios can have variable bit rates (VBR). MPEG-1 Audio Layer II supports the bit rate switching. This method allows each frame to be created with different bit rate. MPEG-1 Layer II compresses MP2 format to be reduced in a smaller file size. And it supports bit rates from 32 to 320 kbps/sec and 32, 44.1, and 48 kHz sampling rates. 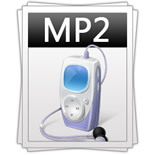 According to PC and Internet applications, MP2 has been superseded by MP3. But it is still a main standard format used for digital radio and digital television broadcasts. It is an irreplaceable format in the digital audio market. It is used internally within the radio industry, for example in NPR's PRSS Content Depot programming distribution system. It is the audio format used in HDV camcorders. It is a part of the DAB digital radio and DVB digital television standards. 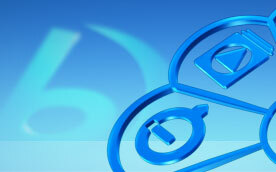 It is the standard audio format used in the Video CD and Super Video CD formats. It is the standard audio format used in the MHP standard for set-top boxes. It is a competitor to Dolby Digital as all DVD-Video players in PAL countries with stereo MP2 decoders.